The Pokemon Company and KFC have announced a special Pokemon Halloween 2018 campaign in mainland China. 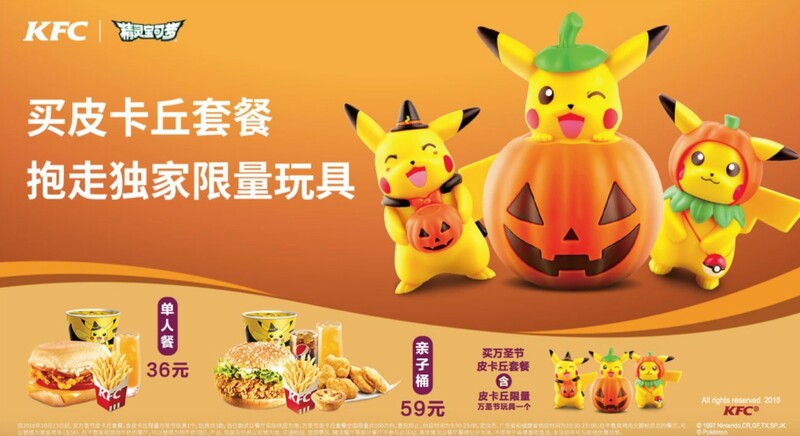 For a limited time starting this October, customers who purchase an individual (36RMB) or party (59RMB) Halloween KFC set will receive one of three limited edition Halloween Pikachu figures. Not only that, you’ll receive a Pikachu bucket of food. In South Korea, The Pokemon Company is releasing Halloween plushies that look similar to the design of these Halloween Pikachu figurines.